Home / Bicycles / MTB Italian professional bikes. Monocoque Frames. 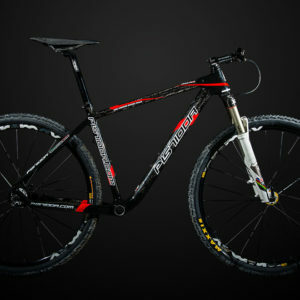 MTB Italian professional bikes. Monocoque Frames. 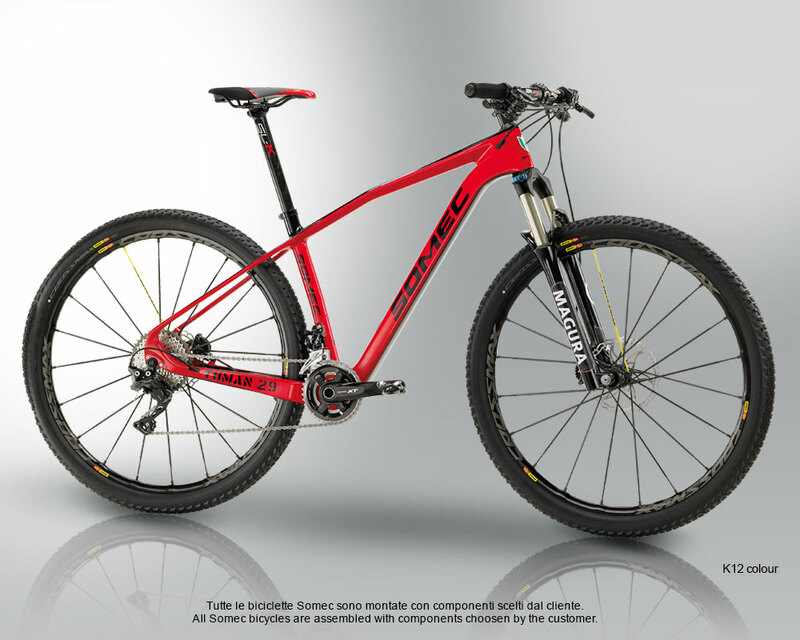 Very high modulus carbon 29″ MTB monocoque frame, built with the EPS system. Multisized diameter head tube of 1″ 1/8 at the top and 1″ 1/2 at the bottom. Press-fit (91×41) bottom bracket housing. Brake caliper positioned inside the rear chainstay. Possibility to choose between thru axle (12×142) or quick release. All bicycles are assembled with components choosen by the customer. Romagna is a region where the passion, the devotion, and the love of the cycling are at their apex. At the height of their creativity,a local bicycle fanatic from the Romagnola town of Lugo, Mr. Oliviero Gallegati, began in 1973 to manufacture exquisite custom road bicycles. In the beginning the bikes were sold to local cyclists but with increased exposure at international bike shows, Mr. Gallegati received orders from many foreign customers fascinated with the work of superbly skilled artisans. The cavallino rampante -stallion-which Francesco Baracca, a famous war aviator from Lugo of the late 1800’s, had emblazoned on his airplane. This same horse was given from Baracca’s family to Ferrari, and of course is now associated with their prestigious cars. In the past years have created many new inovations in their frame developments which have also been seen ( copied ) on other. In the 1970’s we introduced a new seat coller which integrated the rear seat stays for a more elegant look without sacrificing regidity. By changing the traditional straight brake bridge, Mr. Oliviero Gallegati designed a new arch shape bridge to follow the shape of the brake caliper. Oliviero Gallegati also introduced theCICLOMASTER cycle simulater, which determind the customers ideal frame position and set up prior to building the custom frame. As aluminium was introduced in the 80’s Mr Gallegati was not happy with the look of the heavy welds seen on the Aluminium frames. Being a very experienced welder he realised that a smooth weld could be acheived without sacrificing any strength to the joint. This method is time consuming and could only be acheived by expert artisans. Towards the end of the 80’s further developments were made which saw more unique features such as internal gear and brake cable routing.